We’re closing in on Game 3 of the 2018 Vegas Rookie Faceoff. The Kings will take part in the final game of the tournament against the host Vegas Golden Knights. The game will be played on the main rink at City National Arena. 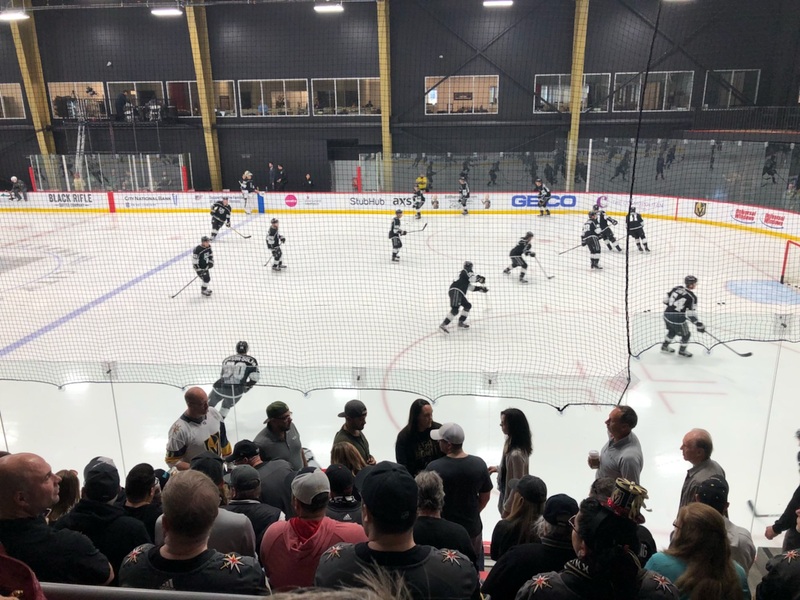 We will have the live blog here and a stream linked for the game once we approach puck drop but keep in mind that this stream is available in the Vegas market only and will have Vegas commentary. 20:00 – Puck is dropped for the third, Kings need three to tie. 17:42 – Another Kings penalty, this on Reddekopp. LA is shorthanded again early in the third period. 15:00 – Great sequence by the Kings but unable to put in one of a few rebound opportunities. Best chance came after a Bauman shot off the rush hit Patera in the mask for a juicy rebound but Dudas’ shot slid right through the crease and out the other side. 13:56 – Vegas Goal – Bad turnover in the defensive zone and Cody Glass capitalizes. Glass intercepted a pass in the high slot, pulled to his forehand and snapped a shot over Ingham’s blocker side. 5-1 Golden Knights. 13:32 – Vegas Goal – 6-1 now as Kolesar dinds the scoresheet again. The big winger skated down the left wing, created a 2-on-1 rush and beat Ingham from the circle. 10:41 – Kings log some offensive zone time but lots of play around the perimeter. Moverare’s shot from the left point towards the end redirected but went wide of the target. 5:50 – Nice opportunity for the Kings – Great work from Dudas to get space and hold off a defenseman before he set up Eyssimont, who missed high. 1:31 – Kings Goal – Kyle Bauman one times an Aidan Dudas feed past Patera, who was preoccupied with Reddekopp in front of the net. Immediately after the goal, Reddekopp gets into the game’s second fight behind the net. 0:16 – Vegas Goal – Matthew Weis concludes the scoring on the evening as he crashed the net and redirects a rebound past Ingham and push the Vegas lead back to five goals. 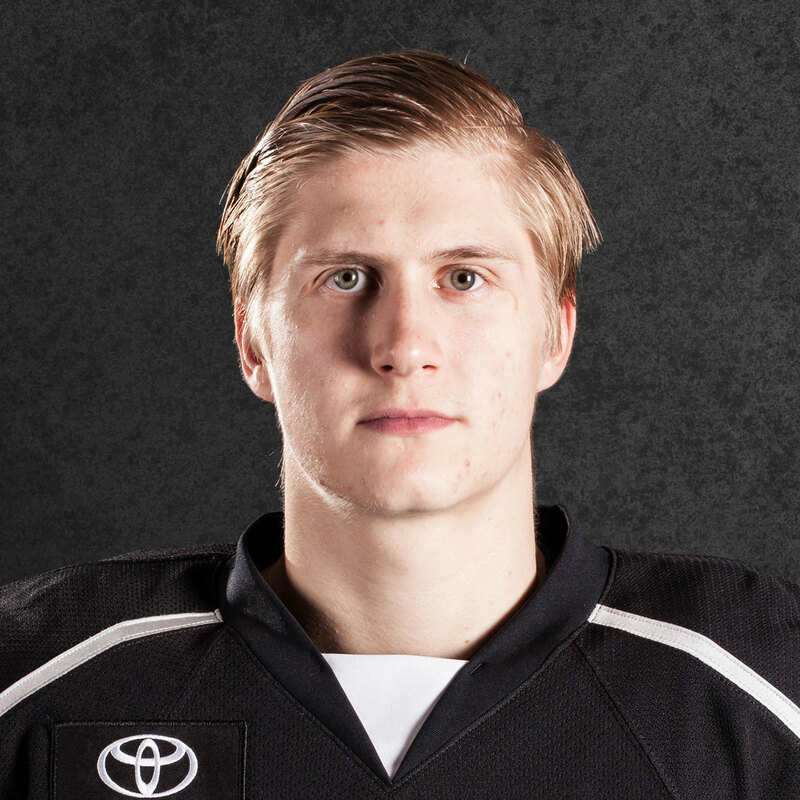 0:00 – The Kings conclude the rookie tournament with a 7-2 defeat against Vegas. 20:00 – Second period is underway, teams begin knotted at one. 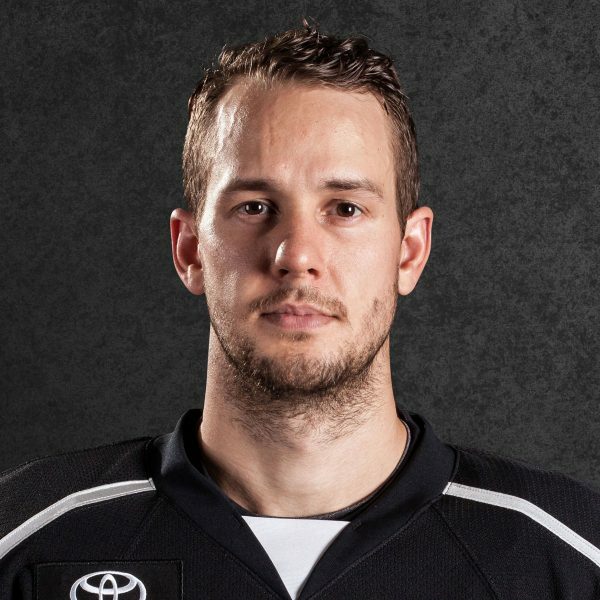 No Austin Strand on the bench to start the second period. Took a shot up high right at the end of the first period, looked to be in some discomfort. 16:02 – Vegas Goal – Kolesar’s shot from the point hits Glass on the skate on the way by and beats Ingham. Tough bounce for the Kings but regardless, a 2-1 lead for the Golden Knights. 13:29 – Vegas Goal – Ingham makes a nice save with the left pad but the rebound falls directly to Quinney, who buries it top shelf with the LA netminder on the ice. 3-1 Vegas midway through the second period. Kolesar gets the helper and has had a hand in all three goals (1G, 2A). 10:27 – Vegas Goal – With the Golden Knights on the power play, a sequence of strong puck movement finds Elvenes on the left wing, where he walks in and wires a slap shot through traffic, past Ingham. 4-1 Vegas. 7:41 – Another penalty on the Kings, this on Wagner for roughing, his second minor of the game. Penalty came following a scrum in front of the Vegas bench. Looks like he has the only minor and the Golden Knights will head to the power play. 6:25 – Watson keeps his feet moving shorthanded and draws an interference call against defenseman Nicolas Hague. 4-on-4 for 43 seconds before the Kings will get a power play. 1:34 – First fight of the tournament for the Kings. Wagner and Kolesar drop the gloves in the Kings defensive zone and it spills into the neutral zone. Kolesar completes the Gordie Howe hat trick with the scrap. Both to the dressing room with under two minutes left in the second. 0:00 – Second period comes to a close, Vegas nets three and takes a 4-1 lead into the third period. 20:00 – Game 3 is underway! 14:50 – Kings with a 4-0 shots on goal lead early. Best chance of the game was a Eyssimont centering feed to Rempal, which was turned aside by Patera in net for Vegas. Still scoreless in the first. 12:35 – Vegas Goal – Kolesar gets between the Kings defensemen and beats Ingham on a breakaway. 1-0 Vegas, which comes against the run of play. Kings had the majority of the chances and puck possession through the first seven minutes but find themselves in a 1-0 hole. 10:10 – Clague with a nice play to start the rush and then get the final pass for the shot but his attempt is stopped and trickles wide. #34 looks lively through the game’s first ten minutes, skating and moving the puck well. 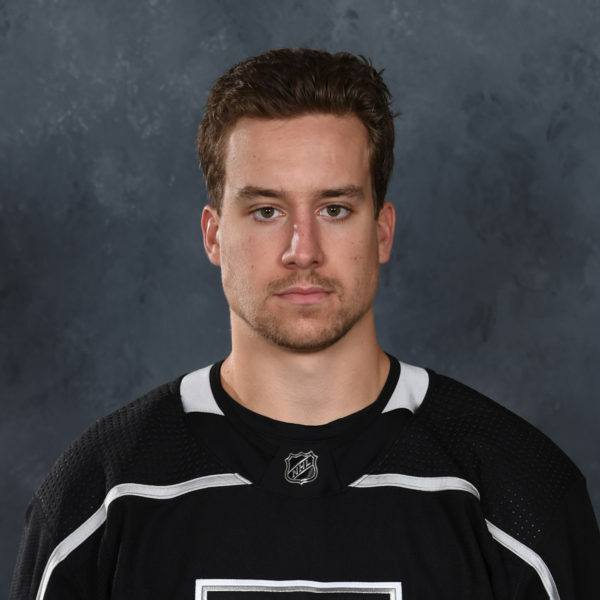 8:26 – Kings Goal – Sheldon Rempal ties the game at one as he picks up the puck in the left-hand circle, out-waits Patera and fires high on the blocker side for the goal, his first of the tournament. 5:59 – Ice crew takes the ice for the only clear of the period, shots are 10-4 in favor of the Kings. 2:29 – Vegas gets the first power play of the game as Wagner gets Whitehead from behind into the board. Scrum after the play also sends Luff and Ben Jones to the box with two each for roughing. 0:00 – All square at one after the opening 20 minutes – Shots are 11-8 Kings. LA penalty kill was solid at the end of the period, Anderson-Dolan created a nice shorthanded chance during the sequence. 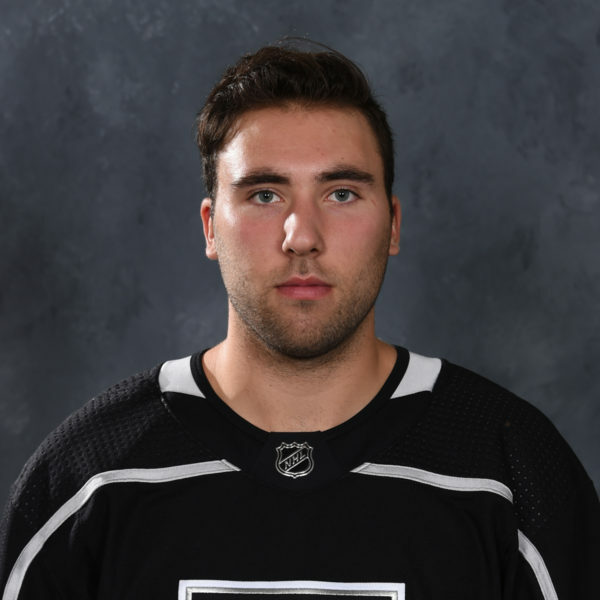 – Jacob Ingham, the only Kings netminder yet to play in the tournament thus far, led the Kings onto the ice for warmups and is expected to start between the pipes, with Game 1 starter Matthew Villalta serving as the backup. If Ingham gets the nod, it gives each of the three traveling netminders one start in net. 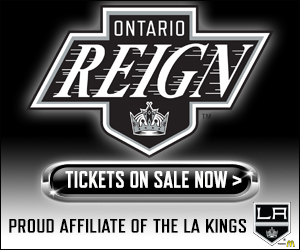 – Forwards Austin Wagner, Philippe Maillet and Matt Luff, along with defensemen Daniel Brickley and Sean Walker check back into the lineup for the Kings. For Brickley, this afternoon marks his first game of the tournament. Exiting the lineup are forwards Boko Imama, Nathan Dunkley and Drake Rymsha, along with defensemen Markus Phillips and Michal Ivan. – Luff will serve as tonight’s captain with forward Austin Wagner and defenseman Chaz Reddekopp wearing the “A” on their jersey. Each had worn an “A” previously in the tournament.